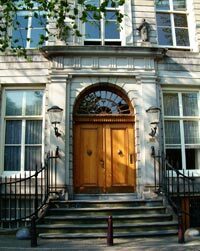 Sweedenryck House (1672), Herengracht 462, A double mansion designed by Adriaan Dortsman with an sober, fluted sandstone facade. On top a straight cornice with balustrade with the statues Prosperity and Trade. 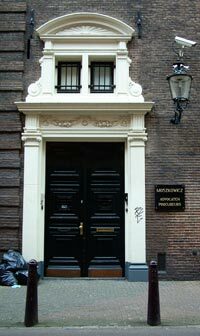 The frontal doorstep is original, therefore 17th-century. The house was renovated inside in 1759.